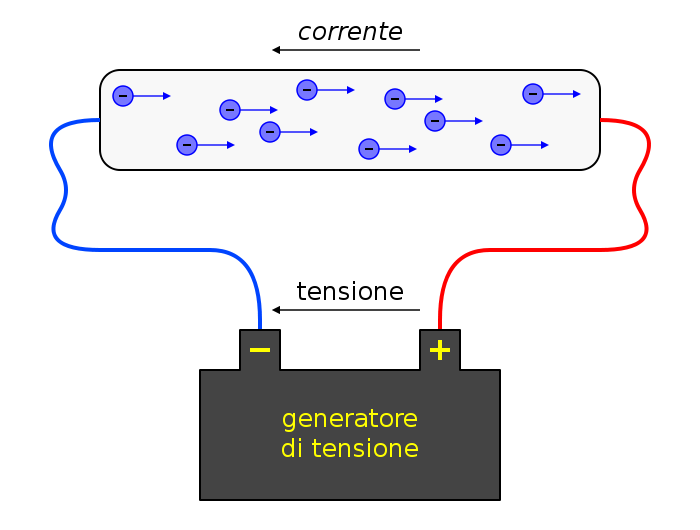 Electrical devices (TVs, stereos etc.) 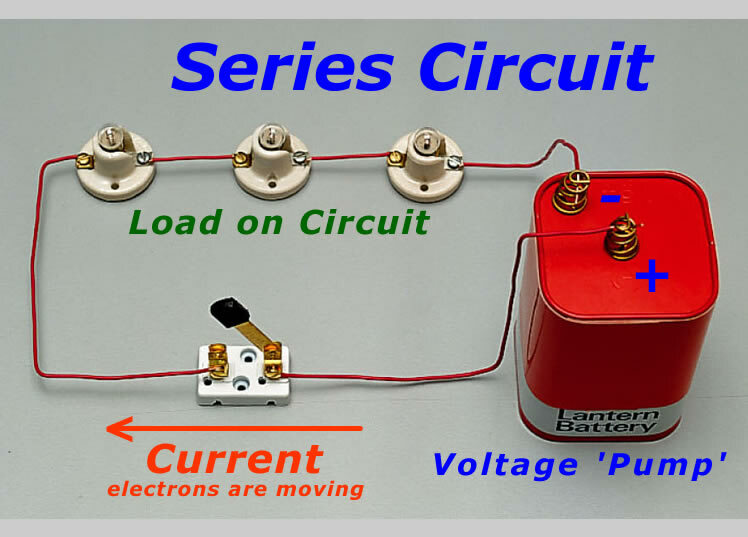 are connected to a voltage supply by an electrical circuit. The only difficult thing about circuits is that devices can be connected either in series or in parallel. If connected in series, the same current runs through each device since there is no alternative path. However, the voltage across each device is different: from V = IR, the largest voltage drop will be across the largest resistance (just as the largest energy drop occurs across the largest waterfall in a river). As you might expect, the total resistance (or load) of the circuit is the sum of the individual resistances. On the other hand, electrical devices can also be connected in parallel. In this case, each device is connected directly to the terminals of the voltage source and hence experiences the same voltage. Here, there will be a different current through each device since I = V/R. A counter-intuitive aspect of parallel circuits is that the total resistance of the circuit is lowered as you add in more devices (the physical reason is that you are increasing the number of alternate paths the current can take). Which is more useful? Household electrical devices are connected in parallel because it is easier (for the manufacturer) if every device sees the same voltage and it also turns out to be more efficient from the point of view of power consumption. A more complicated type of circuit is the combination circuit: here some resistors are connected in series, others in parallel. In order to calculate the current through a given device, the trick is to replace any resistors in parallel with the equivalent resistance in series and analyse the resulting series circuit. Assuming a resistance of 100 Ohms for each of the resistors in the combination circuit above, calculate the current through each if a voltage of 12 V is applied. We have established that voltage is simply energy per unit charge (see last post). What then is current and how does it relate to voltage? Since charge will only flow if there is a voltage difference between the terminals of a circuit (last day), you might expect that there is a simple relation between voltage and current. In fact, the German scientist Georg Ohm was the first to discover that there is a linear relationship between the two in many materials. Ohm’s law states that the current I passing through a material connected to an energy source V is given by the equation I = V/R. Here, R is the constant of proportionality and is called electrical resistance and you can see why from the equation: a material with a very large value of R will pass almost no current (electrical insulator), while another material with very small R will yield a large current for the same voltage (good electrical conductor). 2. Current can be considered a fundamental physical quantity in its own right and indeed the ampere is defined as a fundmental unit (see here). However, it’s much better to define it in terms of electric charge, since this is more fundamental. 3. Some unfortunate people quote Ohm’s law as V = IR and play silly games with triangles. In my opinion, I = V/R conveys the physics of the situation much more clearly. 4. It seems from Ohm’s law that a material with zero resistance could pass infinite current! No such materials are known, but some materials have extremely low resistance at very low temperatures – known as superconductors. A good application of superconductivity can be found at the Large Hadron Collider, where protons are guided around the ring by magnets made of superconducting material: this reduces power consumption enormously but the snag is that the experiments have to be done at at extremely low temperatures. What exactly is voltage? If you ask an engineer, she will probably tell you that voltage drives electric current. And so it does – but what is it? What is its nature? ‘Some sort of energy‘, you might expect. And so it is, although the technical answer is that voltage is electric potential energy per unit charge. In physics, energy is simply the capacity to do work. Potential energy is the expression we use to convey the fact that an object can have energy simply due to its position or configuration; a stretched rubber band will do work if released (snap back), as will a compressed spring (spring out), or a brick held aloft (fall on someone’s toe). Indeed, students usually encounter potential energy first in the latter context; any object lifted to a height in the earth’s gravitational field acquires potential energy equal to the amount of work done to get it to that point. Plus, if you remove the restraint holding it in place, the object will fall and do precisely this amount of work on the ground as it lands (all of its original potential energy is converted to kinetic energy). So you can think of potential energy as work waiting to happen. 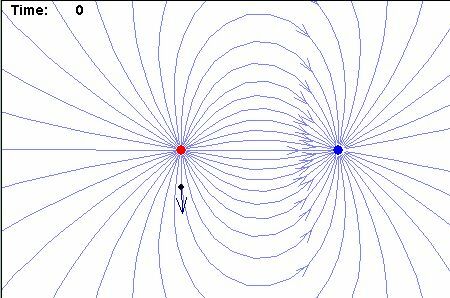 Last week, we saw that any electric charge sets up an electric field which will repel like charges and attract unlike ones. Hence it takes work to bring a test charge into the field of a like charge so if we do this we give it electric potential energy ( if you remove the restraint, the charge will rush away). The amount of work done and hence the potential energy acquired will depend on the size of the charge you bring up, so we define instead the electric potential energy per unit charge, also known as the potential. To be strictly correct, potential should be measured relative to something, so physicists talk of potential difference, defined as the difference in potential between the point in question and zero field. Since energy is measured in joules, potential is measured in joules per coulomb or volts and hence potential also became known as voltage. So voltage, potential and potential difference are all the same thing. In a battery, a potential difference is maintained between the terminals. Charge cannot flow from one terminal to the other because they are not connected. However, if a conducting path between the terminals is provided (by connecting them by wire), a current will flow in the circuit. Since voltage is defined as energy per unit charge, it should be obvious that the product of voltage and charge is energy (or work) i.e. W = qV. Thus if a charge of 1 Coulomb is moved through a potential difference of 1volt, 1 joule of work is done. However, the charge on a single electron is not 1 Coulomb, but a minute 1.6E-16 Coulombs. Hence in the world of particle physics, one typically deals in tiny, tiny amounts of energy. For convenience, we define the unit electron-volt (eV) as the work that is done when a single electron moves through a potential difference of 1 volt. How many eVs there are in 1 Joule of energy? The maximum energy achievable at the Large Hadron Collider (LHC) in Switzerland is 14 TeV – show that this corresponds to only 2.2 microjoules of energy. (Note that although this is a small amount of energy, the energy density is enormous because the cross-sectional area of the colliding particle beams is extremely small). In a first course in physics, it is usually in electrostatics that one first encounters the concept of a field. Everybody knows that like charges repel, while unlike charges attract. The quantitative version of this rule is Colomb’s law, which is the observation that the force between two electric charges A and B is given by F = k.q(A).q(B)/r2 where q represents electric charge and r is the separation of the charges (k is is a constant determined by the medium in which the charges are situated). Note that if the charges are like, the force comes out positive, so a repulsive force is positive in sign, which is what you might expect since work must be done to bring the charges together. On the other hand, if the charges are unlike, the force comes out negative (which also makes sense as the charges want to be together anyway). However, the concept of force isn’t all that useful if one wants to know the effect of a given electric charge (A) on the world. It is clear from Coulomb’s law above that the force experienced by any charge B due to A will also depend on the magnitude of B i.e. each charge you bring up to A will experience a different force! Physicists get around this problem by defining the field due to charge A as the force a test charge brought up to A will experience divided by the magnitude of that test charge. Hence, while every charge brought up to A will experience a different force, they will all experience the same field (F = k.q(A)/r2) – clever huh? The concept of a field is not limited to electricity; it is used throughout physics. For example, you and I experience slightly different forces due to the earth’s gravity. This is because the gravitational force depends on the product of both the earth’s mass M and personal mass m (F = GMm/r2 where G is a constant). However we all experience exactly the same field: dividing by personal mass, the gravitational field due to the earth is given by GM/r2. You may have noticed that the equation for gravitational force above looks very like that for the electric force, with charge replaced by mass (both forces decrease with the square of increasing distance). However, gravity is a much, much weaker force; the gravitation constant G is orders and orders of magnitude smaller than the electric constant k and you only notice a body’s gravitational field if it has the mass of a planet! That said, it is now believed that there is a deep connection between electricity and gravity; indeed, particle physicists and cosmologists believe that all four of the fundamental forces of nature (gravity, electromagnetism and two nuclear forces) originally formed one superforce, which gradually split off into four separate forces as the uiverse expanded and cooled. We already have strong theoretical and experimental verification that two of the fundamental forces originally comprised one force, and it is one of the great ambitions of theoretical physics to describe all four forces in a single mathematical framework (unified field theory). Within that program, one of the great puzzles is why the gravitational force is so much weaker than all the others. where n is the number of moles of a gas and R is a constant known as the Rydberg constant. 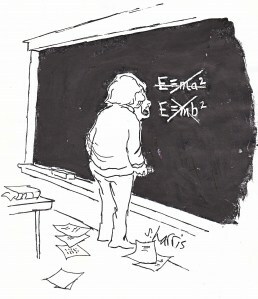 For a physicist, the details of the right hand side of the equation is of little interest. What is important is that it is constant i.e. 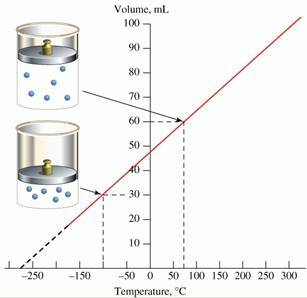 the product [pressure x volume divided by temperature] of a given gas remains fixed. Hence if any one (or all) of these three variables is changed, the others must adjust such that the total product remains the same. The ideal gas law embodies three separate gas laws that were discovered by experiment many years ago. For example, you can see from the equation that if the temperature of a gas is held constant (isothermal process), the product of PV must remain constant. Hence the volume of a gas decreases with increasing pressure if the gas is held at a steady temperature – a law known as Boyle’s Law after the Irish scientist who first discovered it in the 17th century. On the other hand, you can see from the equation that if the pressure of a gas is held constant (isobaric process) the quotient V/T must remain constant. Hence the volume of a gas must increase linearly with increasing temperature if the pressure is held fixed – a law known as Charle’s law after the English scientist who first observed it (also known as thermal expansion). Finally, if you increase the temperature of a gas while keeping the volume fixed the quotient P/T must remain constant. 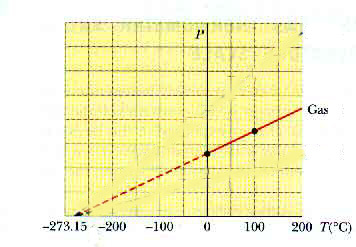 Here the pressure of a gas must increase linearly with increasing temperature, a process known as an isovoluic process. This process is the most dangerous one of the three, as pressure can build up unobserved and cause a nasty explosion. Each of the three laws above were discovered empirically, many years ago. Later, when the molecular structure of gases was understood, the ideal gas law, embodying all three laws, was derived from first principles from the kinetic theory of gases. This was a stunning achievment and marks one of the first unifications of the laws of physics. When a car is driven at speed, the risk of a tyre blowout is much larger than normal. Can you explain why in the context of the ideal gas law? We saw in the last post that energy that can be transferred by conduction and convection, two very different molecular processes. 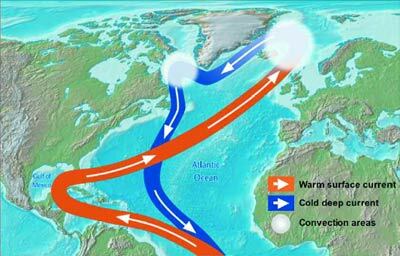 But it is the third mechanism of heat transfer that is the most surprising. In radiation, the transfer of energy is not a molecular process at all. Instead, the energy is carried as an electromagnetic wave, that is a wave consisting of oscillating electric and magnetic fields. 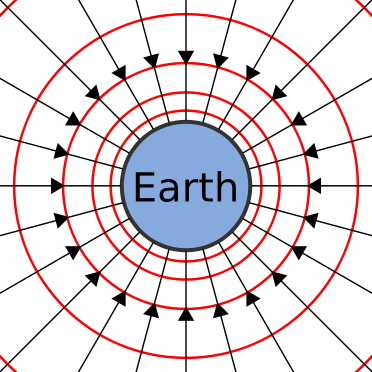 The fields are self-perpetuating (and mutually perpendicular) because the changing electric field induces a magnetic field and the changing magnetic field induces an electric field. The discovery of electromagnetic radiation emerged late in the 19th century. From Maxwell’s theory of electromagnetism, it was realised that light itself consists of an electromagnetic wave: however, it took Einstein to realise in 1905 that electromagnetic waves travel from the sun to earth through a vacuum i.e. do not need a medium in which to travel (unlike conduction or convection). The rate of radiation from the sun (or any body hotter than its surroundings) is proportional to the fourth power of its temperature i.e. is extremely sensitive to temperature. Radiation also depends on a property of the body known as emissivity. Emissivity is a measure of how well a material emits radiation and is determined by atomic processes within the body. 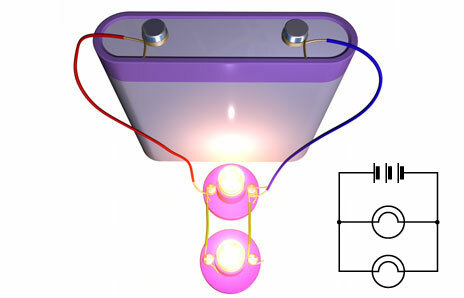 For this reason, a good emitter is also a good absorber, if it is placed in an environment where it is cooler than its surroundings (a perfect absorber is called a blackbody, because it will absorb all light incident on it). The opposite of a good absorber or emitter is a reflector, an object which can neither absorb nor emit heat. Polished metals and bright materials tend to be goodish reflectors: for this reason white clothes are worn when playing cricket and tennis in hot countries (they reflect both heat and light, keeping the player cool and easy to see). A hot body does not radiate energy at a particular frequency, but at all frequencies – from waves of high energy and frequency (gamma rays) to low-energy ones (radiowaves). The low energy waves have low frequencies but long wavelengths since the wavelength of a wave is inversely proportional to its frequency. 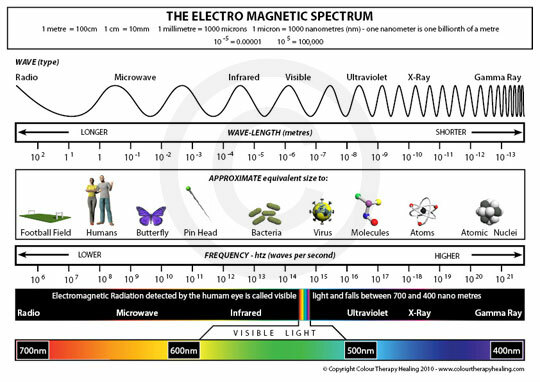 The full range of frequency (or wavelength) of radiation is called the electromagnetic spectrum. One of the great unifying moments in physics occured when it was realised that radiowaves, microwaves, infra-red heat, visible light, ultra-violet light, X-rays and gamma rays are all versions of the same thing – they are simply electromagnetic waves of different frequencies (and wavelengths). Even a blackbody body dies not radiate equally at all frequencies. The distribution of radiation vs frequency (i.e. the spectrum of radiation) depends on the temperature. A body at extremely high temperatures will radiate predominantly at high frequencies, while a body at very low temperatures will radiate predominantly at much lower frequencies. Below is a picture of the emisson spectrum of a blackbody, measured at several different temperatures. In cosmology, the cosmic background radiation is a faint background radiation that permeates the entire universe. It is radiation that is almost as old as the universe itself, dating back to the time after the Big Bang when the universe had expanded and cooled just enough for the first atoms to form, allowing radiation to travel freely (up to this point in time radiation was scattered by the different particles) . Do you think the cosmic background radiation will be hot or cold? At what frequency do you think it is observed? What kind of spectrum might be expected?